Our 2019 6-day Autumn sesshin begins September 16 and ends on Sunday September 22. Join us for this period of deep practice; sink into the boundless reality of the Dharma, finding the ease and joy in being human that Dogen speaks of as the characteristics of true meditation practice. Payment is for the entire sesshin, with or without lodging. If you would like to stay in one of our single rooms, please check with us first for availability. Cost is an extra $240 for the sesshin. All other accommodations are in shared spaces. We also allow camping on site. We will follow our usual timetable, beginning at 6am and ending at 9pm each day. Click here to see a sample schedule. In addition to sitting in the zendo, we will have outdoor practice, both walking and sitting, and we will use some of the samu time to help tend the land of Mountain Cloud. Registration and cabin assignments begin at 4pm on Monday September 16. We will have supper at 6pm followed by a short meeting regarding housekeeping and job assignments. Please try to make it for the dinner if you can. The official sitting will start at 7.30 in the zendo. Part Time: If you need to attend the sesshin part time, please contact Henry. If he approves a part time schedule for you, contact our registrar for cost and payment arrangements. Part time registration and payment is also due by September 9. Amounts exceeding $400 contribute to our scholarship fund and are tax deductible. 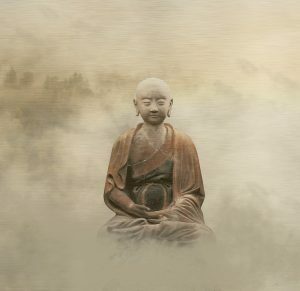 Please consider what you can give, if any, to assist Zen students with financial need. Enter $240 to pay for a single room. Contact us before selecting this option to be sure rooms are available. I am aware that the rigors of sesshin may be psychologically and physically demanding. I am not aware, and my physician is not aware, of any psychological or physical condition I might have that would result in harm to me by by participating in this sesshin. As the participant, I acknowledge and accept the risks of injury associated with participation in this event. Further, I release and promise to indemnify, defend, and hold harmless Mountain Cloud Zen Center for any injury arising directly or indirectly from this event.